The Boca Raton car accident attorneys at the Law Offices of Jeffrey A. Rosenberg, PLLC work closely with victims and families whose lives have been impacted by car crashes. A serious car accident can leave families struggling with high medical bills, lost wages due to missed days from work, and major lifestyle changes because of disability or injury. According to the Centers for Disease Control, car accident deaths cost Florida residents an estimated $3 billion in medical costs and lost work expenses. These figures don’t begin to account for the costs that victims and families face when individuals survive their crashes with serious or life-altering injuries. Auto accidents can damage more than just your car. Car accidents can leave victims with spinal cord injury, traumatic brain injury, serious burns, amputations, broken bones, back and neck injuries, disfigurement, and chronic pain, among other serious injuries. If you have to deal with extensive property damage, serious injuries, rising medical bills and lost wages, you might find yourself in a financial crisis. Families might struggle under the double stress of not only facing unexpected medical costs from a car accident, but also facing the loss of wages due to missed days from work due to injury. Fortunately, the law offers families and victims the right to seek damages from negligent parties and you may also be entitled to seek a settlement with either your insurance company or with the negligent driver’s insurance company. To fight for your due compensation, you need a dedicated auto accident attorney by your side. The auto accident attorneys at the Law Offices of Jeffrey A. Rosenberg, PLLC have over 25 years of experience with auto accident cases in the Boca Raton, FL area. We can help you get the compensation you deserve. Schedule a consultation with an experienced auto accident attorney in Boca Raton, FL today to get help with your case. WHEN SHOULD YOU CALL AN AUTO ACCIDENT LAWYER? Even if you think your auto accident was minor, you shouldn’t wait to call a lawyer. Some car accident injuries, like post-traumatic stress disorder or traumatic brain injury may take days or weeks before they become apparent. Take important steps to protect your rights following a car accident. 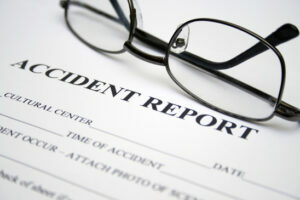 Always report the accident to the police and always seek medical care following a car accident. 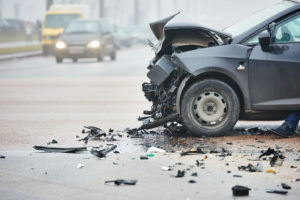 Inform insurance companies that a crash has occurred, and consider contacting the auto accident law firm at the Law Offices of Jeffrey A. Rosenberg, PLLC today. 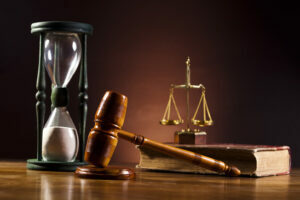 You may only have a limited amount of time to make a claim under the law. Call 561-508-8800 now to speak with an auto accident lawyer about your case. We’ll do everything we can to help you move forward after your accident. According to the Stanford Center for Internet and Society, human error is cited as the leading cause of car accidents. While people can be great drivers, factors like distraction, inebriation, and inexperience can all contribute to car accidents. What are some common causes of car accidents in Boca Raton, Florida? Distracted Driving. Cell phone use and texting and driving can take a person’s eyes off the road. This can lead to serious accidents, involving other vehicles, pedestrians, or bicyclists. If you or a loved one was hurt in a distracted driving accident in Boca Raton, Florida, consider speaking to the car accident law firm at the Law Offices of Jeffrey A. Rosenberg, PLLC today. Drunk Driving. Driving while under the influence of drugs and alcohol kills and injures thousands of people every year. If you have been involved in a crash in which another driver was drunk or on drugs, you may be entitled to seek damages for your medical expenses, lost wages, and pain and suffering. Speed kills. At higher speeds, drivers need more time to stop. Drivers who fail to obey posted speed limits or those who exceed speeds for road conditions can end up causing serious accidents. The Law Offices of Jeffrey A. Rosenberg, PLLC are auto accident attorneys in Boca Raton, Florida who can review your case and fight for your rights if you or a loved one was hurt due to a speeding driver. Breaking the Rules of the Road. Running red lights. Running stop signs. Illegal turns. Illegal lane changes. These are just some of the ways that drivers can be at fault for accidents by breaking the law. If another driver broke the law, resulting in your serious injuries, you may have the right to seek compensation for damages and losses. Younger drivers may not always have the experience to take evasive action or they may take risks behind the wheel. If an experienced driver resulted in your crash, the Law Offices of Jeffrey A. Rosenberg, PLLC are auto accident lawyer Boca Raton, Florida who can evaluate your case and who may be able to help you seek damages. Rain can make roads slick, meaning that drivers may need more time to stop. Drivers have a responsibility to modify their speeds for road conditions. Excessive speeds or reckless driving during bad weather can lead to accidents. The Law Offices of Jeffrey A. Rosenberg, PLLC are auto accident lawyers in Boca Raton, Florida who may be able to help you make a claim if a driver failed to modify his or her driving for weather conditions. If you or a loved one has been seriously hurt in a car accident in Boca Raton, Florida, you may have the right to make a claim under the law. The Law Offices of Jeffrey A. Rosenberg, PLLC are car accident attorneys who offer clients caring and compassionate counsel, assisting them with insurance claims and injury claims from negligent parties. Contact our firm today at 561-508-8800 to learn more.